Tube-Fab is now able to shear metal plate up to 3/8" thick. This will eliminate the need to take time to get sheet metal cut and delivered to us and thereby reduce the lead time to produce your parts. 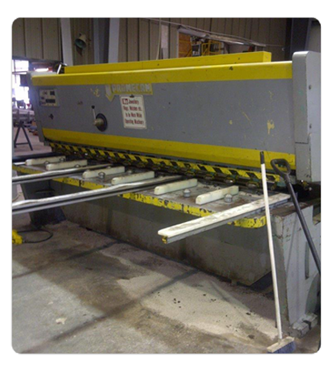 Tube-Fab Ltd. also offers this capability as a service for your company..
0 - 0.250 we can shear up to 10' lengths. 0.250 - 0.375 we can shear up to 4' lengths.